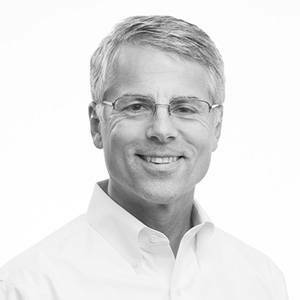 Mark Davies serves as the Chief Financial Officer for Vivint Smart Home. Before joining Vivint in 2013, Mark served as Executive Vice President of Alcoa, President of the company's Global Business Services unit and as a member of the Alcoa Executive Council. He was responsible for leading an integrated organization consisting of the Chief Procurement Officer, Chief Information Officer, Chief Security Officer, and Global Services, with a collective employee base of more than 2,000 employees in 20 countries. Before Alcoa, Mark spent 12 years at Dell Technologies., most recently as the Managing Vice President of Strategic Programs, reporting to Chairman Michael Dell, where he helped lead the global business transformation of the company. Prior to this role, Mark served as Chief Financial Officer of Dell’s Global Consumer Group, a $13 billion enterprise with operations in five regions and 45 countries. Mark also served as Chief Financial Officer for Dell's first Global Operations organization, which included manufacturing, supply chain, logistics, research and development, and product marketing. He held additional roles in sales, operations, and corporate as Dell grew from $14 billion to $62 billion in revenue and over 100,000 employees. Mark spent two years at Applied Materials in several executive finance roles and began his career at Hewlett Packard in financial operations, where he served in a variety of roles in manufacturing, supply chain, procurement, and accounting for a number of international operations. Mark has a bachelor’s degree in Accounting from Western Washington University and an MBA from Arizona State University.